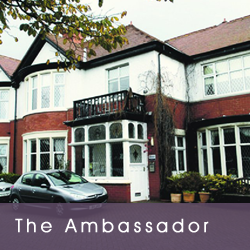 The Ambassador Residential Care Home is an ideal environment for residents to enjoy the very best in comfort and care. 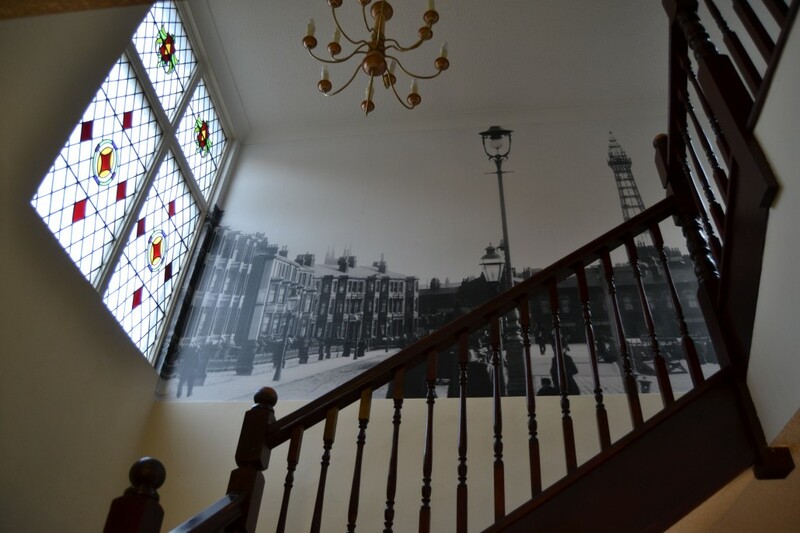 Every possible care has been taken in designing our care home ensuring that our residents’ needs and requirements are catered for, providing easy access for wheelchairs etc, including passenger lifts. The Ambassador stands in it’s own spacious grounds with beautifully maintained gardens to the front and rear providing an ideal place to spend many a happy hour, weather permitting. The Ambassador realises the need for individualism, all rooms are en suite with varied decors to suit every taste. We actively encourage our new residents to bring whatever personal belongings they wish, ensuring that they create their own personal touch. The Ambassador has a warm friendly atmosphere and the spacious lounge offers every comfort. The lounge is bright and almost has a concept of a secondary lounge due to its L shape. It is the perfect place to enjoy a quiet moment or play games and other activities at leisure. A wide range of menus are available at The Ambassador. Special dietary needs are catered for. All meals are freshly prepared daily by our resident chefs in our fully equipped kitchen. 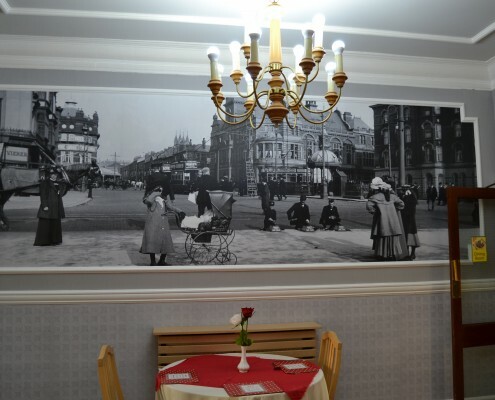 Meals are served in our traditional homely dining room. 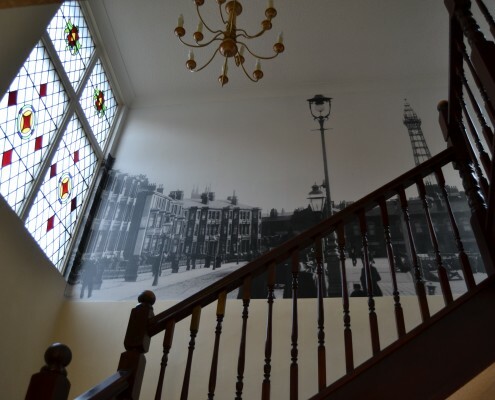 Although The Ambassador is not a nursing home we endeavor to ensure that our residents receive the appropriate care required with the help and advice of local GP’s and District Nurses. 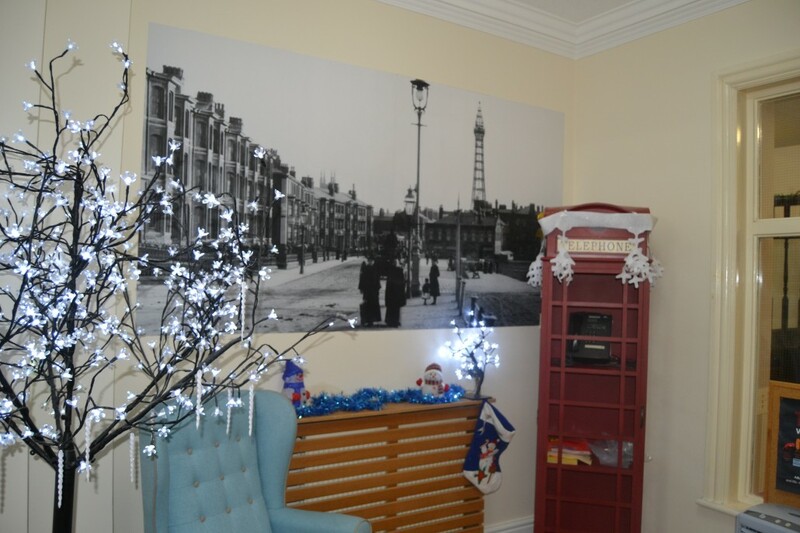 The Ambassador provides total support by specially trained staff who are carefully selected to ensure that the standards of care are not only high but are carried out in a thoughtful and friendly manner. We respect the dignity and independence of our residents at all times. Care at The Ambassador continues 24 hours a day and there is always a skilled team of staff on duty to assist whatever the hour. 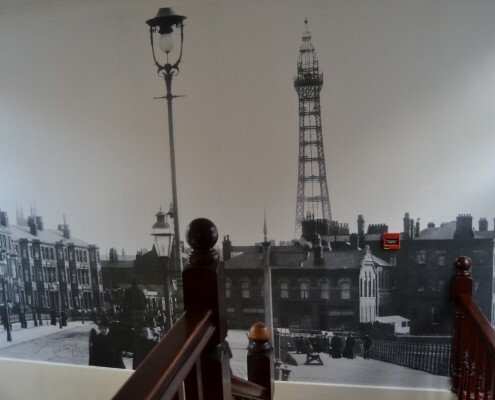 The Ambassador is situated in the South of Blackpool only 5 minutes from the promenade and offers a prime location to local shops and other amenities. Whatever the season a choice of activities and regular outings are organised. In-house entertainment is arranged regularly. 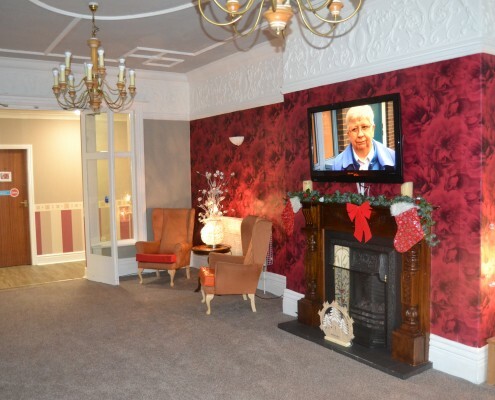 Here at The Ambassador we understand that the decision to re-locate to a care home can be a difficult one, which is why we have specially trained staff on hand to help with all the administration involved with such a move. If you would like any further information, please do not hesitate to contact us: David Mosely, who with over 25 years experience in residential care for the elderly, will only be too happy to assist however they can. Viewings with transport readily arranged. We recognise the high cost of residential care and make every effort to keep our charges as low as possible. 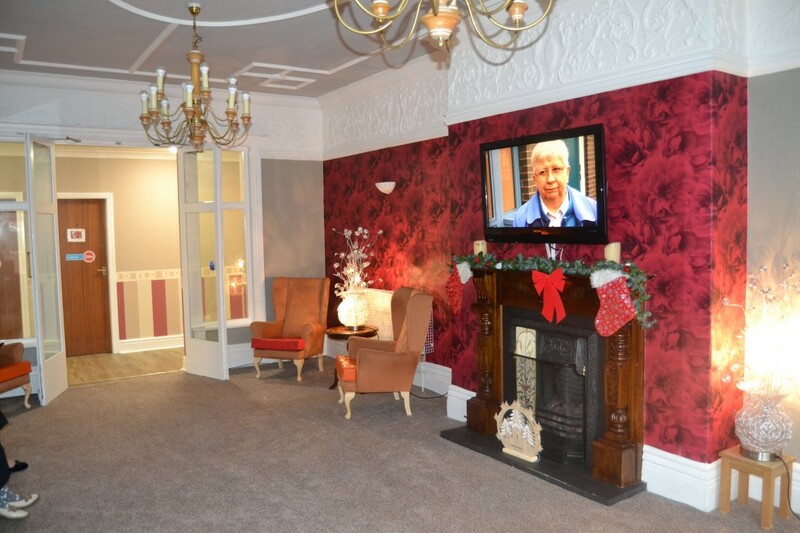 Provide first-class 24 hour residential care, in a modern care home. Our team of highly-qualified and attentive staff focus on exceeding the individual needs of our clients with a tailored care plan for each resident. Accommodation in a fully furnished room with en-suit facilities including the provision of all linen including face cloths . Rooms are all fully equipped with emergency call buttons. All meals, drinks, snacks, and hospitality for any visitors (including meals providing prior arrangements with the cook have been made). A variety of fresh fruit is readily available. The high level of care and hospitality provided by the staff and participation in all the facilities and activities the home provides. 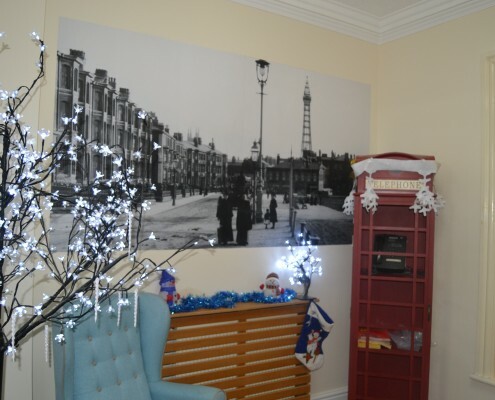 We are able to offer potential clients the opportunity to spend the day with us, to give themselves a little variety or to give a carer a regular break. Day care within our home is tailored to meet an individuals needs. Frequency, time of arrival & departure, meals & bath will all be taken into account, and can be arranged. Our fee is a basic charge but some variation may apply depending on how much staff input is involved. 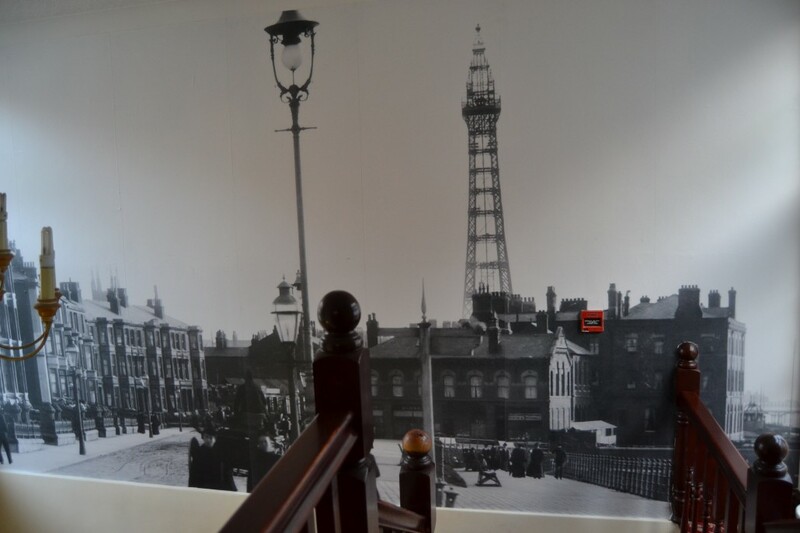 We are able to offer a couples a ‘Couples En-suit Room’ so you don’t have to be apart. The room consists of all the facilities of a single en-suit room but with 2 single beds, 2 chairs, 2 bedside tables and more storage facilities. To assist our residents, families and representatives with peace of mind we have implemented a priorities of care end of life procedure. 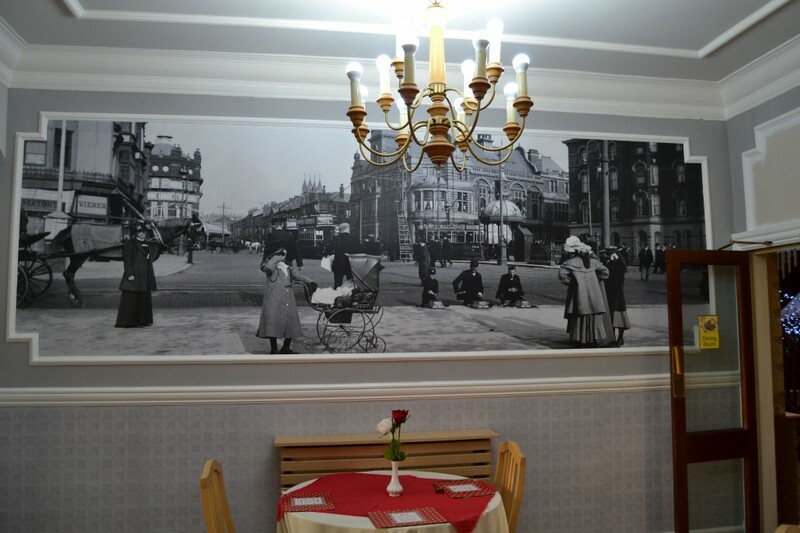 We are able to offer clients a room with music options, specific floral decorations or an extra bed for family or friend to stay with their loved one. Be it they wish to remain with us rather than being transferred to hospital against their wishes. We are dedicated to ensure that event is handled with the utmost care and dignity. Support for the family is provided as well as encouraging them to visit as often as they wish. For more information contact us. The state will provide a level of care for the least well off. Your local council will conduct a financial assessment to establish whether you can afford to pay. 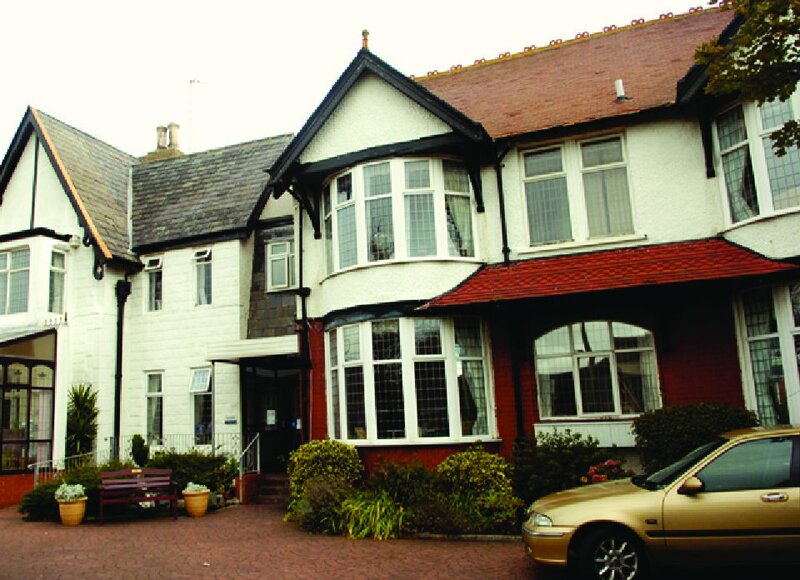 You will have to pay at least some of the costs of accommodation and personal costs in a care home. Your local authority will still pay for your accommodation ad personal care, but not fully. If your capital is between £12,750 and £21,000 for every £250 you have over the lower amount, they will subtract £1 per week from the money they contribute. If your capital falls below the upper amount while you are in a care home, you will become eligible for help from the local authority. If you want a more expensive home than the authority is willing to pay for, you are allowed to arrange a ‘third party contribution’ from another source. Your home would be included in your assets only if you live alone, or you are both moving into a care home. In addition, the local authority will disregard the value of your home for 12 weeks after your admission to permanent residential care. My Dad is in great hands in this care home.